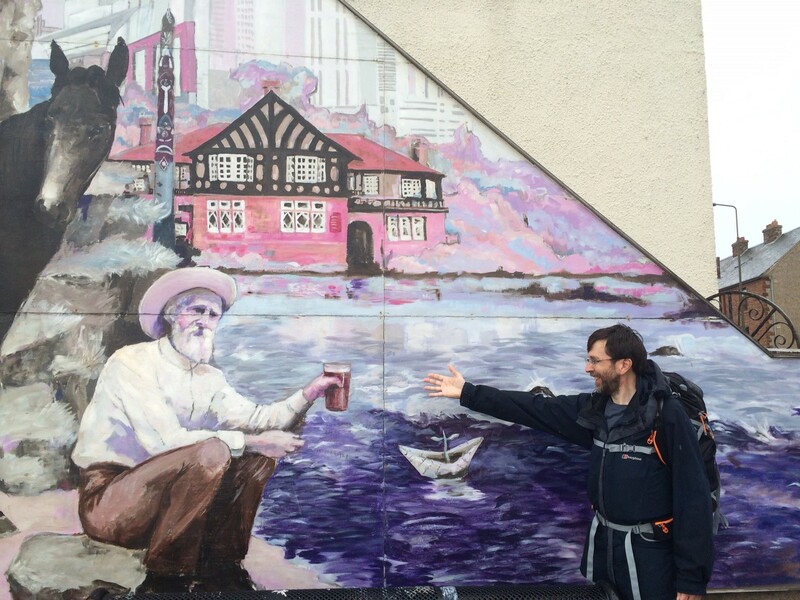 As we have previously reported, Eco Congregation Environmental Chaplain, Trevor Jamison, has walked the John Muir Way, drawing attention to this Scottish-born, pioneering American environmentalist. 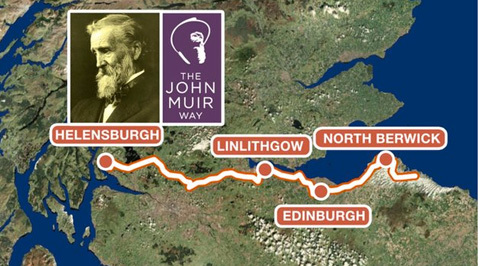 Starting in Helensburgh, where he was ‘sent on his way’ by friends from local Eco Congregations, Trevor competed the 135-mile route in ten days, concluding at John Muir’s birthplace in Dunbar. 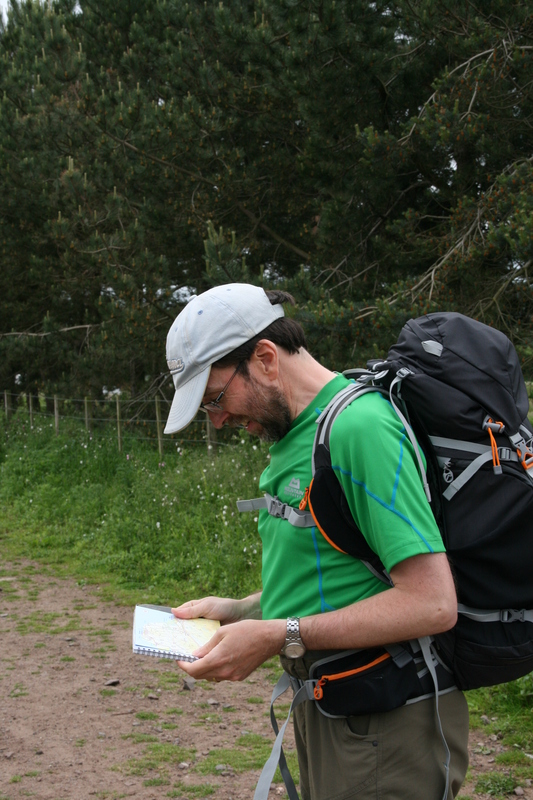 Here are some photos from the last stages of the trip and a map of the Way. 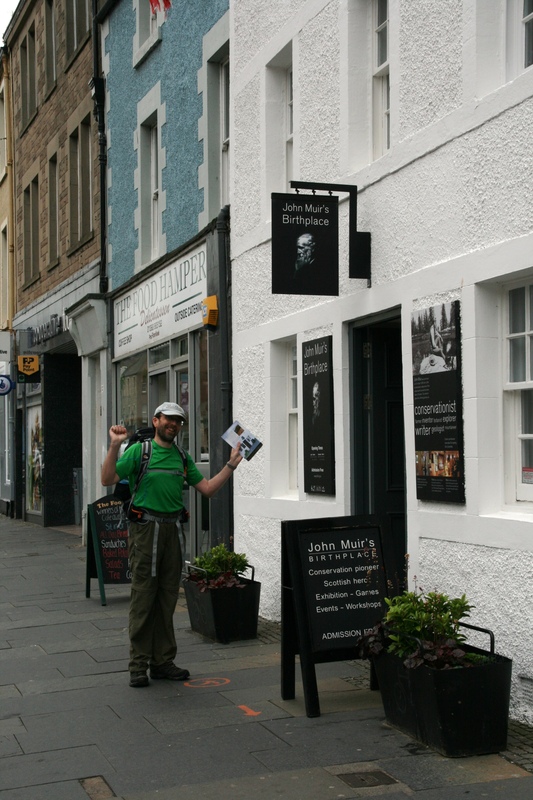 The ten-day walk undertaken by Trevor Jamison. 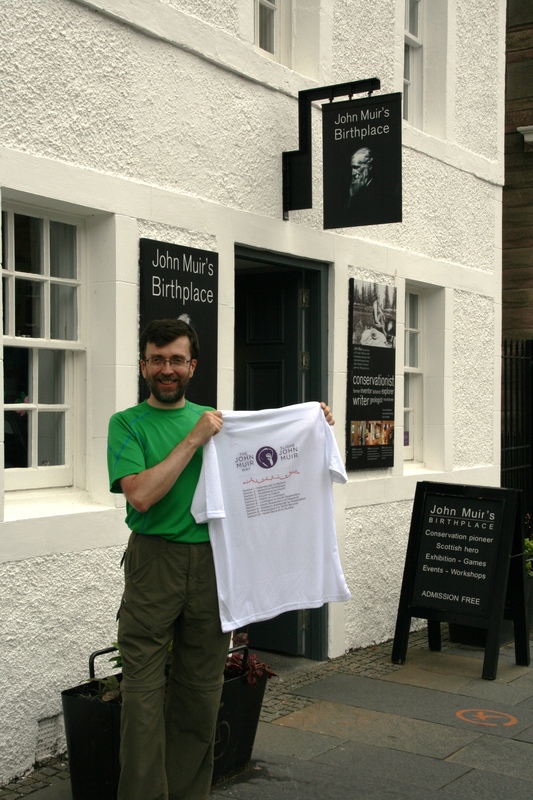 At the birthplace of John Muir – got the T-Shirt!